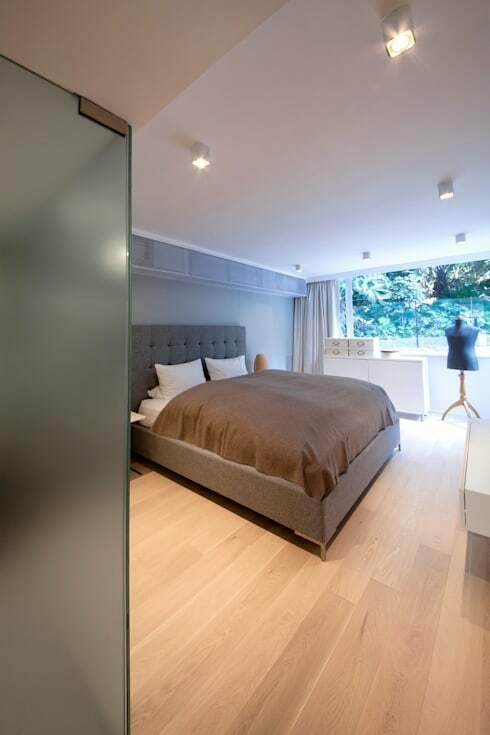 Located in the Pok Fu Lam district in western Hong Kong, lies a beautiful family home whose design was inspired by its unique setting, surrounded by lush greenery and the stunning view offered by its mountain top location. 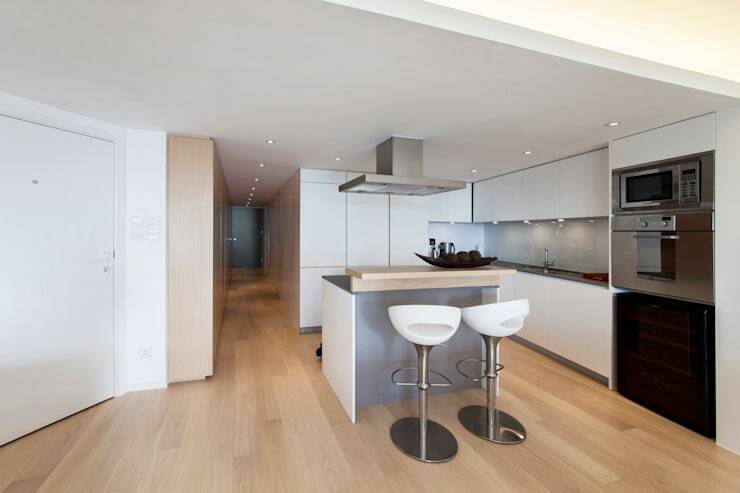 ARCTITUDESIGN were chosen by the home owners to complete the 148 sq metre apartment; a home where simplicity, peacefulness, elegance and functionality have been gently fused together in perfect unison. 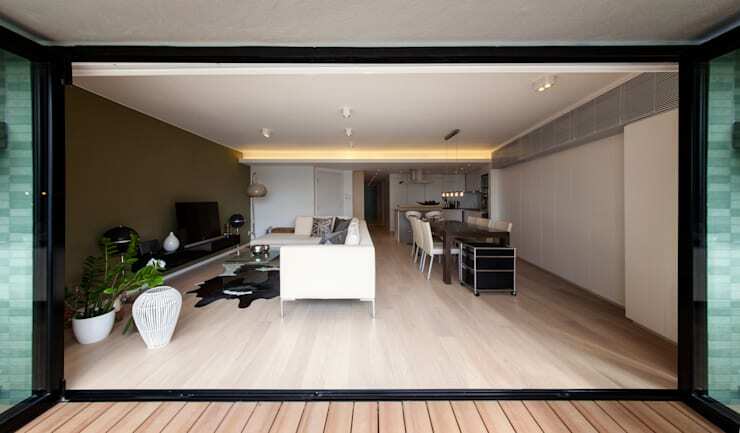 An open plan was a key design feature in this modern family home, inviting the outside in, with the large bi-fold glazed doors folding back to perfectly suit Hong Kong's subtropical climate. In line with its tropical location surrounded by forests, the home on Mount Davis uses a colour scheme evocative of nature, with a pale timber tone in the flooring and a deep green hue in the feature wall. Hidden in the lining of the cornices is indirect lighting, which casts a soft light reminiscent of a setting sun, in turn, creating a warm ambience. Located in the western part of the city, the home sees the last of warm setting sun. The stylish and contemporary design of the combined dining and living spaces seamlessly flows into the small, open plan kitchen. Even the modern appliances have been discretely integrated into the entire space, matching the monochrome palette that permeates throughout the entire home. With a newborn baby, a home that minimised clutter and maximises available space was another design aspect considered with great care. All living functions have been well contained and defined, yet without any boundaries—a true feat in an open plan space. Concealed in the open plan living area is a home office unit and plenty of storage space, emphasising the desire of ARCTITUDESIGN to create a space characterised by clear spatial arrangement. 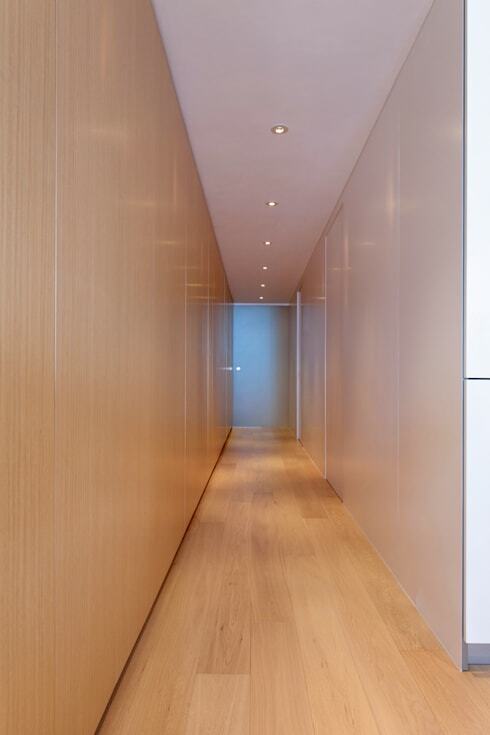 Light timber tones illuminated by LED lighting are the mainstay in the hallway, where cabinets of reconstructed timber veneer cladding line either side. Keeping a natural theme through the hall, towards the bathroom and bedroom, helps the natural essence flow gracefully to the opposite end of the apartment. Delicate shades of grey feature on the walls of the bedroom, matching the bedframe that has been reused from the owners previous apartment; as has lots of the furniture in the dining and living area. Utilising the lush surrounds, the large windows allow the green view inside, and the soft tones of the forest to react with the colour palette. 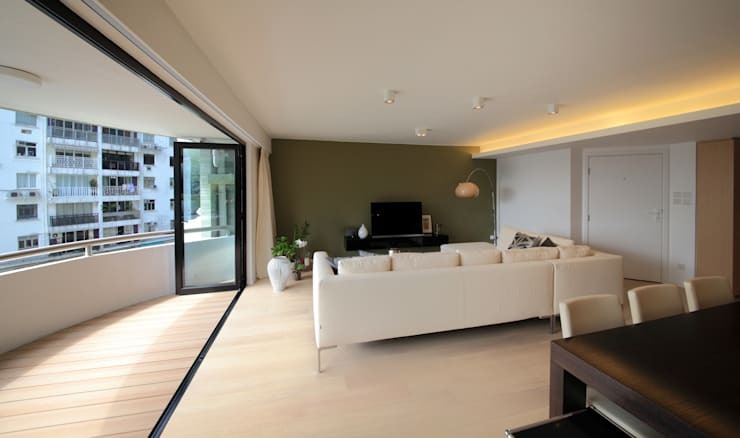 This creates an inviting interior to relax and leave the stressors of the day behind. Form certainly follows function throughout the home, yet consistently looks elegant and symmetrical. 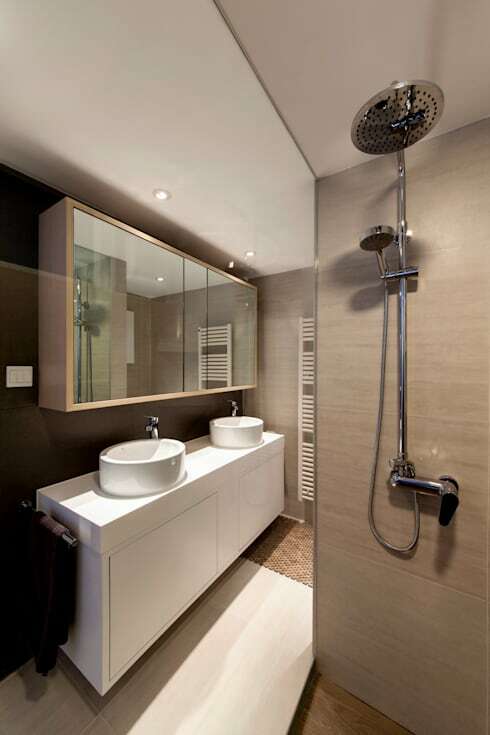 The bathroom has been designed much the same as the rest of the home, while seeming a little more cosy and intimate. Overall, a wonderful home that finds its elegance in its simplicity; pale colours, and a spatially aware open plan living area. Where in Hong Kong would you love to live? Let us know in the comments section below!